Comm Eye Health Vol. 29 No. 95 2016 pp s06 - s09. Published online 10 February 2017. Recent estimates from the World Health Organization (WHO) show that globally there are 285 visually impaired people of which 39 million are blind.1 Cataract is the major cause of blindness and second leading cause for visual impairment (VI).1 One of the important parameters to measure the impact of cataract services is the Cataract Surgical Coverage (CSC). CSC is also one of the indicators to monitor the progress of the Universal Eye Health: Global Action Plan 2014-19.2 CSC is defined as the proportion of people or eyes with cataract eligible for cataract surgery who have received cataract surgery in at a given point in time. It is one of the parameters or measures obtained from the Rapid Assessment of Avoidable Blindness (RAAB) or Rapid Assessment of Cataract Surgical Services (RACSS) studies. It can also be obtained from other population based studies (Table 1 and 2). There is a gross variation in CSC across different countries as well as regions within the same country. Apart from this, gender inequality in CSC has been reported from different low and middle income countries.3,4 In this article we review the CSC data from countries in South-Asia (SA) and review inequities between and within countries, especially related to gender. We also review the association between country wealth and government health expenditure on CSC i.e. with Gross Domestic Product (GDP) of a country as well as per capita health expenditure. In simple terms, GDP is the total monetary value of all goods and services produced within a nation’s geographic borders over a specified period of time. It is a measure of a country’s total economic activity. Health expenditure is the sum of public and private health expenditure as a ratio of total population. South Asia encompasses Bangladesh, Bhutan, India, Maldives, Nepal Pakistan and Sri Lanka. CSC data (stratified by gender) was obtained from published literature, the RAAB repository, as well as by personal communications with the Principal Investigators (PI) of some studies. CSC data was available for all countries except Maldives. Of the remaining countries, gender specific data was available for all. Data from Bangladesh, Bhutan, Nepal and Pakistan represented the entire country. Data from Bangladesh, Bhutan and Pakistan were from published sources, while data from Nepal was obtained from the RAAB repository. From other countries, regional data were available. Hence, extrapolation of these regional specific data to the entire country may not be appropriate. The CSC data (person and eyes) from these countries (stratified by gender) is shown in Tables 1 and 2. We recommend that there is a need for data to be collected from countries where there is none. In countries where there is only region-specific data, data is needed to be representative of the whole country. Also data including key social determinants need to be collected. All countries should work towards achieving the goal of Universal Eye Health with at least 80% CSC for <3/60 visual acuity category as well as ensuring that women, and those from the lower socio-economic strata and rural areas have improved access to services. One of the limitations of the data is that it is not representative of all the countries. We did not do any analysis to see if the difference between gender was significant or not. There was limited data available in terms of other social determinants (socio-economic status, literacy, urban-rural difference etc). 1. Pascolini D, Mariotti SP. Global estimates of visual impairment: 2010. British Journal of Ophthalmology 2012; 96(5): 614-8. 2. WHO. Universal eye health. A global action plan 2014-2019. WHO, Geneva 2013: 1-28. 3. Lewallen S, Courtright P. Gender and use of cataract surgical services in developing countries. Bulletin of the World Health Organization 2002; 80(4): 300-3. 4. Lewallen S, Mousa A, Bassett K, Courtright P. Cataract surgical coverage remains lower in women. Br J Ophthalmol 2009; 93(3): 295-8. 5. Lepcha NT, Chettri CK, Getshen K, et al. Rapid assessment of avoidable blindness in Bhutan. Ophthalmic Epidemiol 2013; 20(4): 212-9. 6. Sapkota YD. Prevalence of blindness and cataract surgery in Gandaki Zone, Nepal. British Journal of Ophthalmology 2006; 90(4): 411-6. 7. Thulasiraj RD, Rahamathulla R, Saraswati A, Selvaraj S, Ellwein LB. 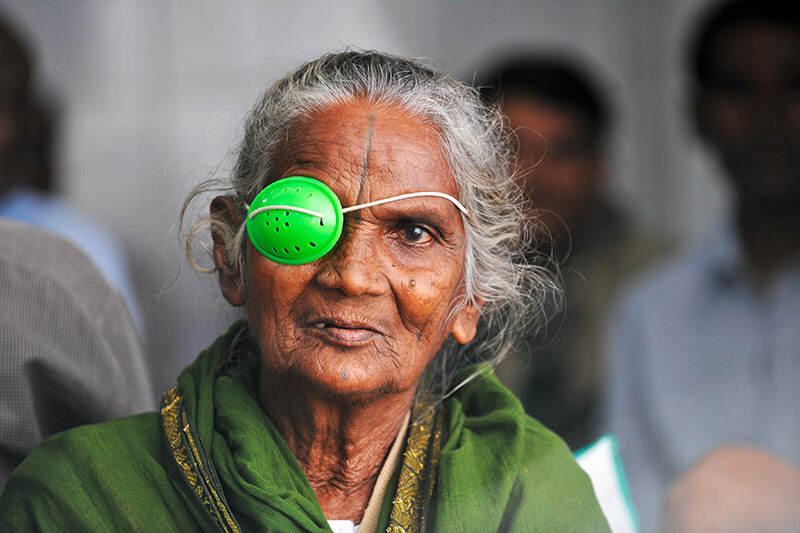 The Sivaganga eye survey: I. Blindness and cataract surgery. Ophthalmic Epidemiology 2002; 9(5): 299-312. 8. Jadoon Z, Shah SP, Bourne R, et al. Cataract prevalence, cataract surgical coverage and barriers to uptake of cataract surgical services in Pakistan: the Pakistan National Blindness and Visual Impairment Survey. Br J Ophthalmol 2007; 91(10): 1269-73. 9. Dhake PV, Dole K, Khandekar R, Deshpande M. Prevalence and causes of avoidable blindness and severe visual impairment in a tribal district of Maharashtra, India. Oman J Ophthalmol 2011; 4(3): 129-34. 10. Bettadapura GS, Donthi K, Datti NP, Ranganath BG, Ramaswamy SB, Jayaram TS. Assessment of avoidable blindness using the rapid assessment of avoidable blindness methodology. North American Journal of Medical Sciences 2012; 4(9): 389-93. 11. Patel S, Gogate P, Vora S, et al. Prevalence, causes of blindness, visual impairment and cataract surgical services in Sindhudrug district on the western coastal strip of India. Indian Journal of Ophthalmology 2014; 62(2): 240-5. 12. Wadud Z. Rapid assessment of avoidable blindness and needs assessment of cataract surgical services in Satkhira District, Bangladesh. British Journal of Ophthalmology 2006; 90(10): 1225-9. 13. Muhit M, Wadud Z, Islam J, et al. Generating Evidence for Program Planning: Rapid Assessment of Avoidable Blindness in Bangladesh. Ophthalmic Epidemiol 2016; 23(3): 176-84. 14. Edussuriya K, Sennanayake S, Senaratne T, et al. The Prevalence and Causes of Visual Impairment in Central Sri Lanka. Ophthalmology 2009; 116(1): 52-6.